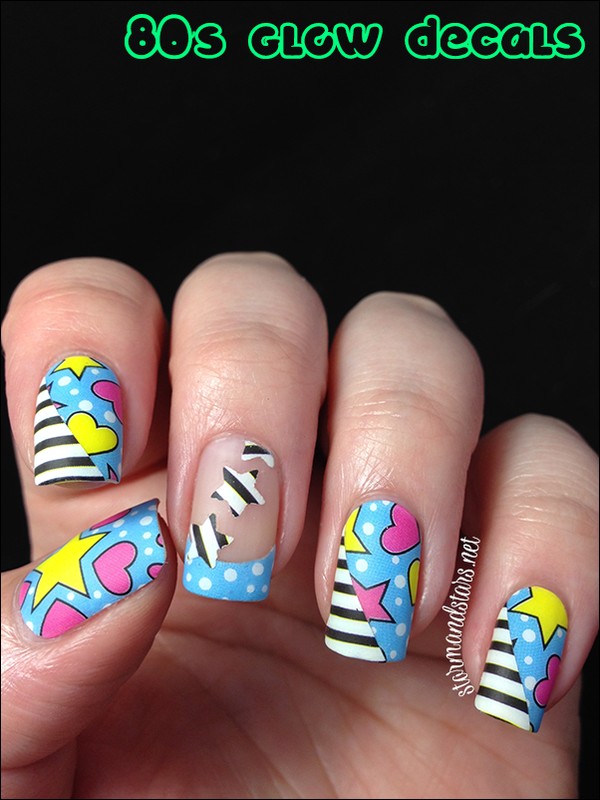 I have some crazy nail art to share with you all today! I was sent these great glow full nail wraps by the Born Pretty Store and I decided to do something a little different with them. Since my nails tend to be on the wider side and wraps tend to be made for more narrow nails, sometimes I have trouble with them. 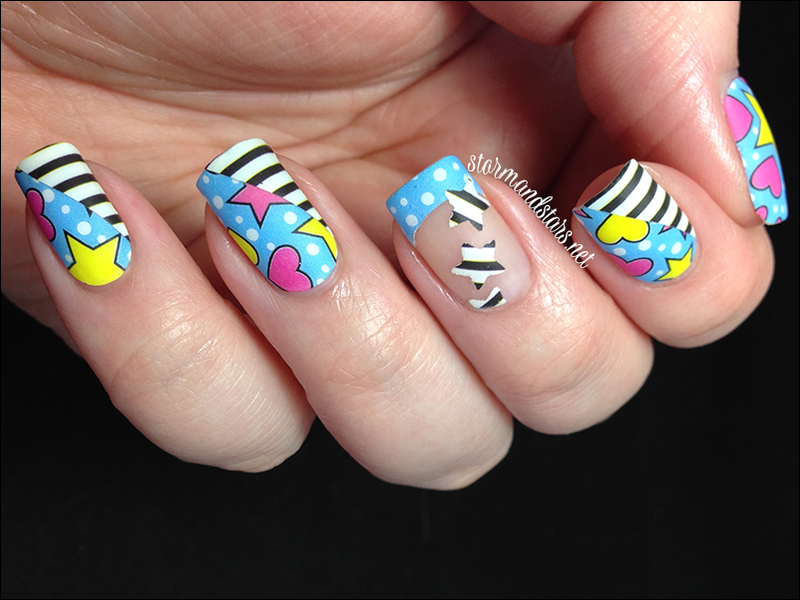 I decided to overcome this issue by cutting up the decals and placing them in patterns on my nails. 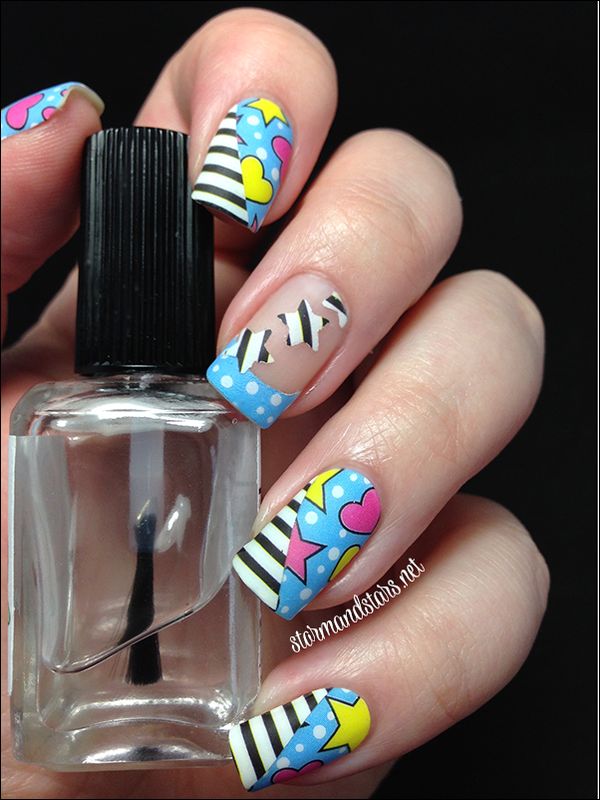 The set I used for this manicure can be found here. Here is my final result after cutting and placing the wraps. I started with a good basecoat then applied the blue polkadot wraps to my pinkie, ring, index and thumb. I then took the wraps with the black and white stripes and cutting them diagonally, created the black and white striped corners on my pinkie, ring and index fingers. The pack of wraps I was using also came with a set of french tip wraps, which I used for my middle finger. 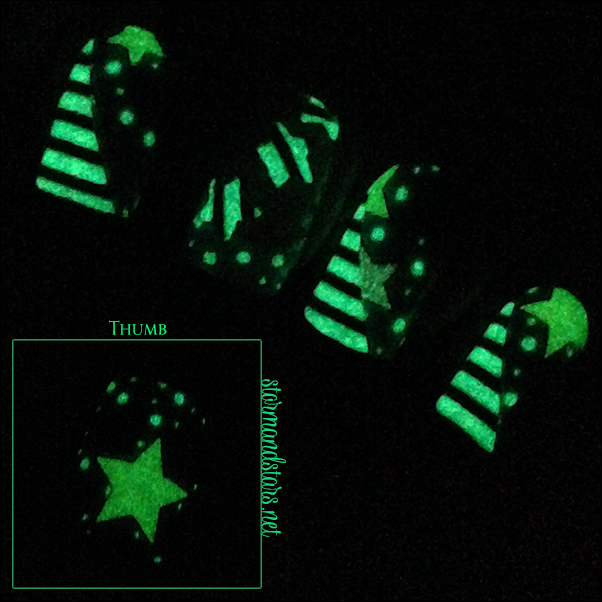 I then used my star shaped hole punch to create stars out of an unused striped wrap and applied them to my middle finger. To finish off this look I coated everything in a thick layer of Fat Lacquer Drive-Thru to smooth it out and then added one coat of Essie Matte About You, my go-to matte topcoat. I tried it both shiny and matte and felt like the matte look gave it something special. I'm super happy with how these turned out! They're very 80's and kindy tacky, but the 80's should be kinda tacky haha. I had so much fun putting these on. They applied very easily and stuck really well. I had plenty leftover to do another manicure as long as they don't dry out. I wrapped the package back up and taped it shut so I hope it stays useable! 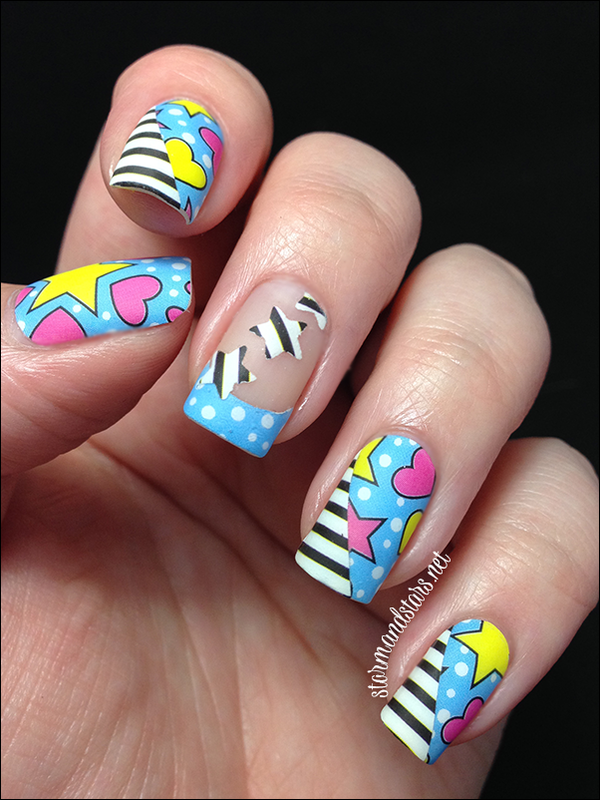 Have you ever used nail wraps to create nail art instead of just using them one on each nail? How did they turn out? I'd love to see! You can find these nail art wraps here at Born Pretty Store. They retail for $5.37 each set and as always Born Pretty Store offers free worldwide shipping. Use my code AGBQ10 for 10% off your entire order. China Glaze | Pop Top and a Nail Art Contest!